Beautifully REMODELED with FABULOUS views!! 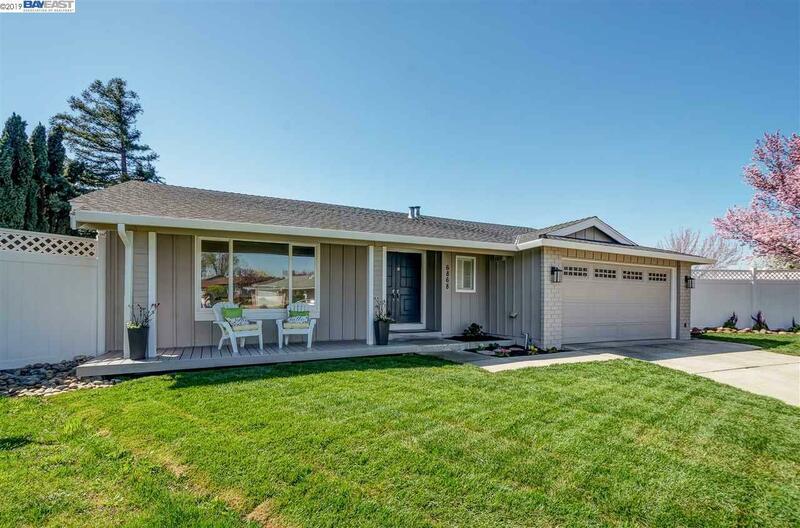 Located in a court, this home has an extra large lot and is located close to TOP SCHOOLS, shops, parks, & historic downtown Pleasanton. This richly updated single story home's premier location places you at the heart of this charming and vibrant community. Through-out the home are new gorgeous high-end wide-plank engineered wood floors. Living & family rooms have new LED recessed lighting. The remodeled gourmet kitchen includes quartz counter tops, designer backslash, SS appliances including a new double oven/convection/microwave and gas cook-top. Designer colored cabs/hardware. Newly updated bathrooms. The master is tucked in the back with sliders leading to backyard that is an entertainers delight, featuring new sod, patio, pool. Shed has electrical & can be used as an office. Freshly painted interior and exterior. New interior doors/hardware/lighting fixtures. Front deck makes a great place to sit and enjoy this fantastic neighborhood.